WOW! Women On Writing Blog: Friday Speak Out! : Is It Time to Stop Blogging? A few months back, a fellow blogger wrote a post about ending her blog. Her words gave me pause and left me thinking – when is it time? 2. You don’t enjoy it. 3. Requires too much time. 4. Your blog isn’t growing. 5. Ideas are drying up. 6. You’re tired and interests lie elsewhere. None of these reasons applied to me; yet, the question stayed on my mind. I retired early from the profession of nursing, a career I loved, more than twenty years ago due to health complications. In 2008, my best friend of 37 years passed away suddenly. Blogging helped exorcise the demons of grief and after eights months, I decided to take my writing to another level. I joined a writers group and started Cow Pasture Chronicles. Then in 2012, my disease started tap dancing on my body. For nearly two years, my blog suffered, and posts were sporadic. It took me a while to regain the strength and enthusiasm to write again but those two years left an imprint. At sixty-two, I tire quickly, can’t always think of the right words, and on some days, it takes forever for me to complete a post, article, or story. I’m a persistent and determined woman. I do not surrender easily and quitting is not a word found in my vocabulary. But, time is a gift we don’t get to keep forever. So, the question becomes, do I want to spend time on a keyboard or with my family creating memories? I’m not ready to write that final blog post, yet. There are novels and memoirs I want to finish, and stories to share with my readers, family, and friends. I know the time is coming, but letting go is never easy, no matter what you’re releasing. For Every Thing, There is a Season. Is it time? Only you have the answer. Reasons and timing are different for everyone. Listen to your heart and you’ll know. 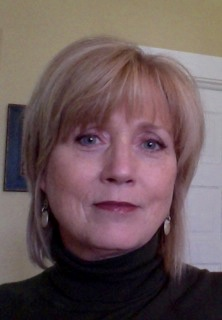 Sheila Good is a writer of fiction and non-fiction and the author of the Blog, Cow Pasture Chronicles. A member of the South Carolina Writer’s Workshop, her work has been published in Blasting News, Angie’s Diary, Every Writer’s Resource, Every Day Fiction, and featured on No Extra Words Podcast. She resides with her husband in South Carolina. Great article! I'm going to reblogg it. I'm still having fun, and hopefully entertaining the few readers who stop by. It does cut seriously into my writing time and slows down the progress of the book I'm working on. But hopefully, some of those people will be interested when the book comes out and give it a read. For me, it's not about money. I don't have aspirations of being a NYT Best Selling Author (humorist rarely make the big time). But I do enjoy having people tell me the stories made them laugh. That's a huge reward to me. While I understand what you are saying, I would miss you. You've been such an encouragement, and supplied a great deal of helpful information. Thank you for reading Russell. It isn't about money for me either. I enjoy writing and interacting with other bloggers and my readers. I wished I had begun long ago but regrets are a waste of time. While I'm not ready to write that lady post or put my pen away for good, it us something I think about, especially as I get older. I'm a planner,always have been, this is just another thing I want to plan and not leave it hanging. For now, you can still find me in the Cow Pasture. Thanks for commenting. You're too sweet Linda and thank you. I'm not ready yet but as a planner, like to be ready when the time comes. Until then, you can still find me in the Cow Pasture. Podcasters go through this too...so often they have a word for it, it's called podfading. The truth is, like blogging, it's a lot of work, most of us will never make a living off of it and sometimes it has to come to an end to make room for the next thing. Whenever the end comes, be proud of what you've done and created. I was a camp counselor for years and we used to have a hard and fast rule: stop playing before it stops being fun. No Extra Words, thank you for your kind comments of encouragement. I agree, when it stops being fun, it's time to move to another adventure. As a lifelong planner, this was something that has been on my mind. I'm not ready, yet it's still fun, and your stories and podcast are among my favorite things. So, for now, you can still find me in the Cow Pasture. I've read a few posts about discontinuing their blog writing. Many of them say it's due to health issues. For me, my blogging slowed down after my back surgery last June. Sitting has become an enemy for me. reminder that one can only do what the body says. I do what I can when I can and release my guilt to the wind. So sorry to hear about your health issues. I can relate completely. Pain is an exhausting thing. I too, do what I can. On goods days, I write and on not so good days - I listen to my body. It's all we can do. Thank you for reading and may you also continue to heal and write.